Think of your grandma who you won’t see in person. What about your college best friend? How about your sister who lives a few states away and will be with her in-laws on Christmas Day? Or what about your brother-in-law who might want (or need!) 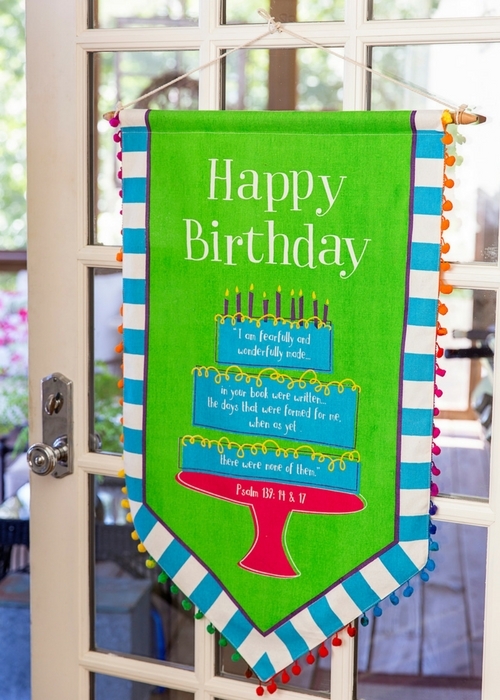 a gentle nudge for a gift that would be a huge win for your sister? 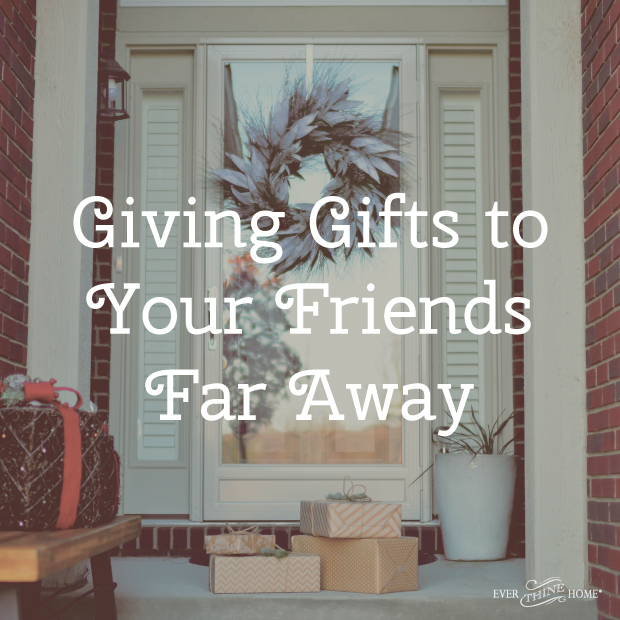 You can still gift them something unique, meaningful, and beautiful from miles away. We can make that happen! We’ve heard from you about how much you are loving our Christmas collection. We thought that if you love it so much for your home, that you might want to pass it on to someone else to use in her home this Christmas season, and throughout the year. We’re giving you a chance to send something from our Holiday and Home Collection to someone you love! To help you do that, we are offering FREE SHIPPING on any purchase of $50 or more through December 15–that’s TODAY! Just use promo code STAR at checkout. And hey, we won’t tell if you ship a box of goodies to your front door too. No shame in grabbing a great deal for yourself this time of year. The best things in life are free, so we want the best and most meaningful home and holiday pieces to arrive on your loved ones’ doorstep—or yours—FREE this Christmas. 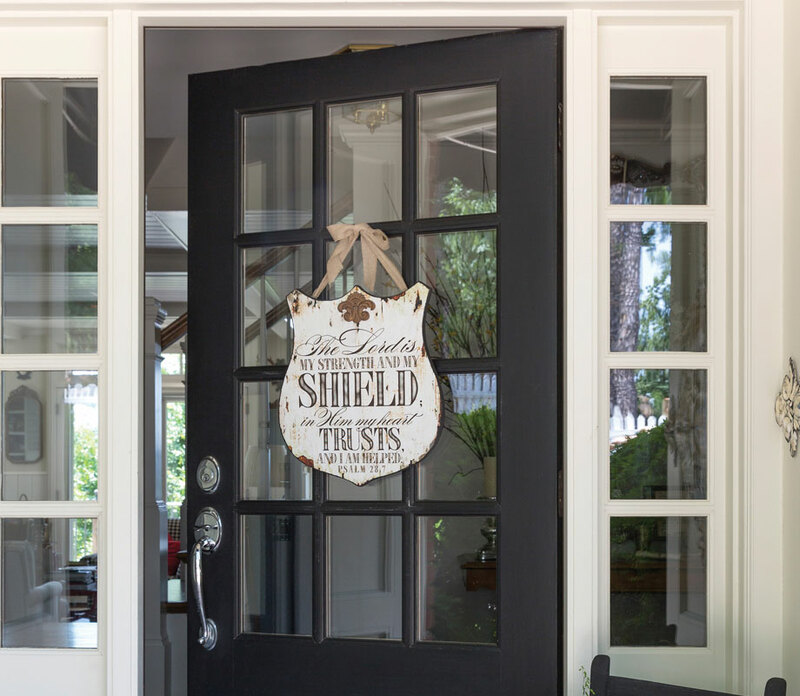 My Shield plaque is the ideal after Christmas front door décor. Gray and cream weathered wood proclaims the truth of Psalm 28:7. 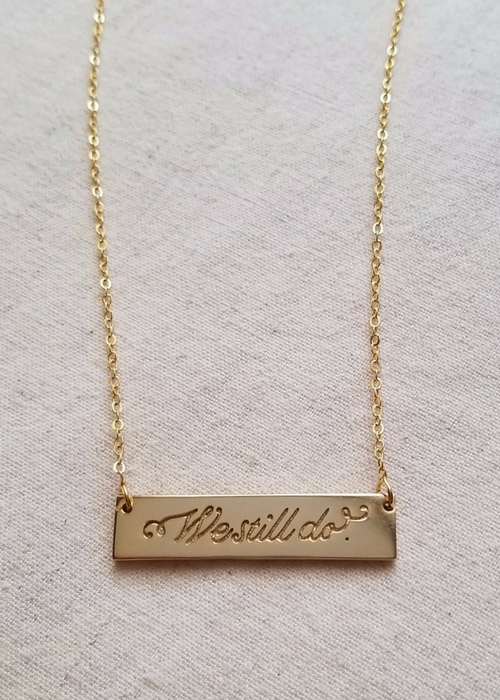 Our We Still Do Necklace is new this year and we think it would be a perfect stocking stuffer! 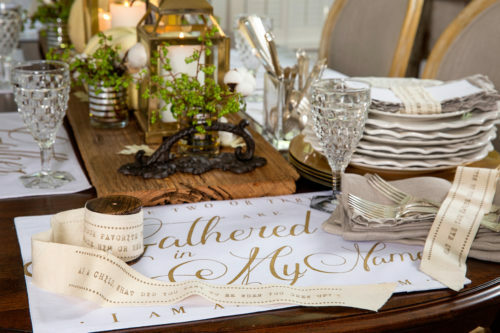 Untie Your Story: Memories napkin ties will help you cultivate meaningful conversation at any get together. Perfect for the Christmas dinner hostess! 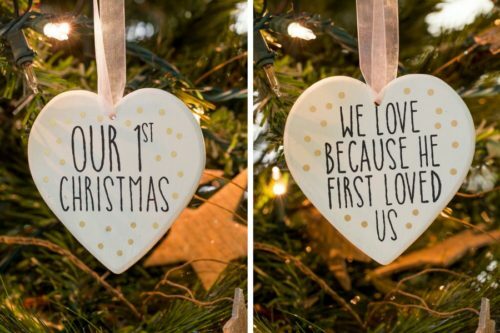 Our First Christmas Ornament is the perfect gift for the newlyweds in your life. A token of love to pass on as a legacy heirloom to future generations. 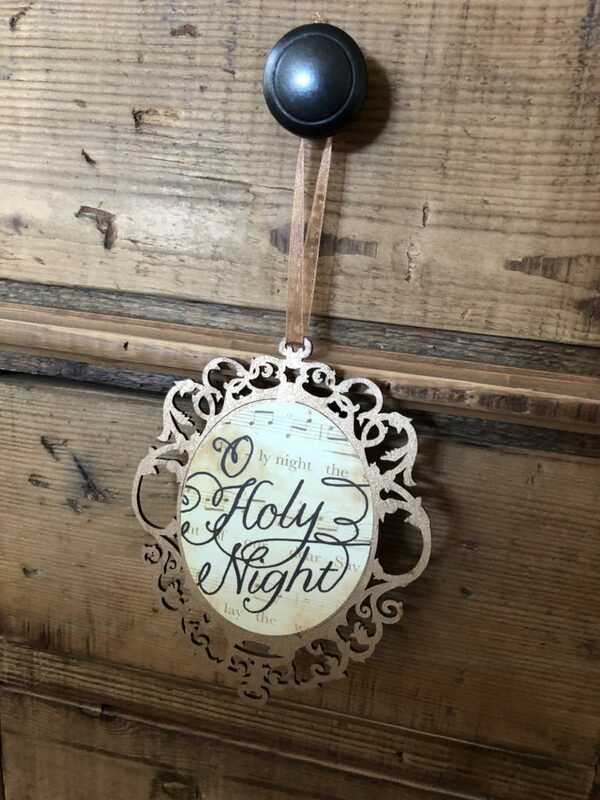 AdoreHymns honey-stained wooden ornaments with old-world charm. Warmed with stories of our favorite Christmas carol’s origins. This 8-pack is perfect for splitting up and gifting one each to a neighbor, teacher, coach, mailman, small group leader, etc. Ship this set to your door and hand these out in your community. 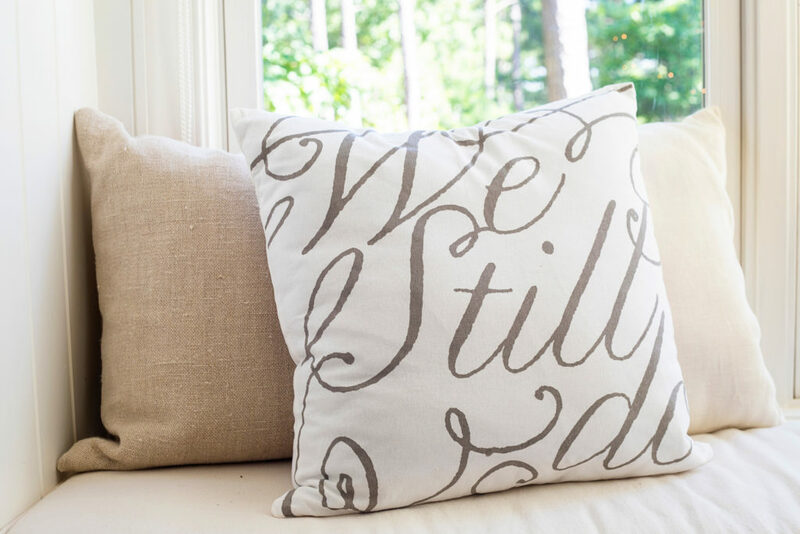 We Still Do Pillow Because “I do” was the biggest promise ever made. Every day married couples must remember their promise to hold fast to one another and resolve to continue to stay faithful to those vows. Perfect for a wedding or anniversary gift. And did you know that every dollar you spend at Ever Thine Home is reinvested in our parent organization, FamilyLife, to continue our work of marriage and family preservation around the world? So these are truly gifts worth giving. View other great gifts here.